Its fast and trouble free. It is designed and manufactured by to be retro fitted to our E4G Automatic Tyre Changers. 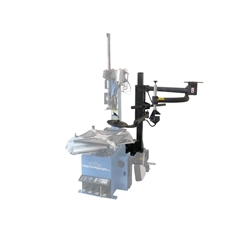 The Price is just for the assister/helper arm and does not include the Tyre Changer.which is illustrated to show how the arm is attached. Delivery and installation available extra. It is designed and manufactured to be retro fitted to our E4G Automatic Tyre Changers.